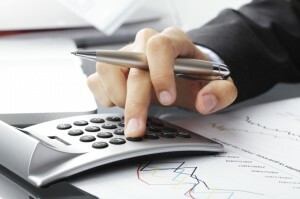 If all of your business insurance policies are not with the same insurance carrier, you can be wasting a lot of money. When combining all of your business insurance policies with one carrier, you may receive substantial discounts. Many business owners are excited to hear that they have the option to increase their business insurance deductible and reduce their premium; however, when you raise your deductible, you must be ready to pay that amount if a claim is filed. Depending on how much you raise your deductible, this may prove to be consequential. The needs of businesses are constantly changing, which is why it is imperative that you review and evaluate your business insurance policy with your insurance agent, at least once a year. If your business signs a big deal or creates a partnership, it is important that you meet with your insurance agent before the annual review to update your policy as necessary. While your business insurance policy will provide you with protection once an accident happens or a claim is filed, it cannot prevent accidents and claims. In order to reduce the amount of claims you file on your business insurance policy, you must have sound risk management policies in place. Contact Central Insurance Agency in Austin for all of your Texas business insurance needs. We will not only provide you with a customized business insurance policy that meets your business’ exclusive needs, but we will also assist in managing insurance costs, so insurance expenses do not become a burden.